One of our most popular features over the past 16 years - a full-page color photo on the front of the Kiowa County Press showing various impressions of life in Kiowa County. 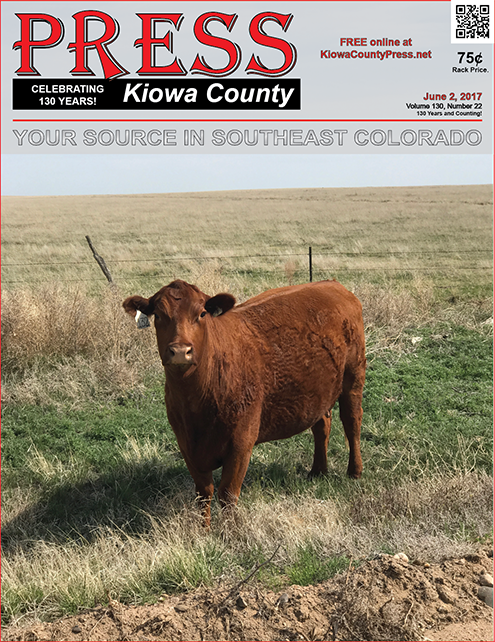 Shown below - the front page of the June 2, 2017, Kiowa County Press - Curious cattle. Photo by Chris Sorensen.